Today would have been John Lennon’s 76th birthday, so I thought I’d finally end my algebra-revision-induced hiatus (fun times in high school, haha!) and talk a little bit about him. So happy birthday, John! I’ve talked an awful lot about John on here before, so I’ll try to stay succinct here. John is easily one of my greatest heroes, for he has influenced so much of what my life consists of today. He was my introduction to what I would have precociously termed “contemporary music” before I discovered him – he taught me of what it was in the first place, of how it worked, of what it sounded like at its very best. His work encouraged me both to persevere with and work as hard as I did my schoolwork at my creative pursuits – music, art, writing – and to, as I grew into the age where you are supposed to begin to seriously consider what you will do when you”grow up”, think about continuing them not just as hobbies but as actual jobs; and in fact, it was him who inspired me to pick up a guitar, to take my voice beyond musical theatre and the like, to try and attempt to write songs, to actually use the criticism my English teachers gave me so that my pieces on here would begin to live up to the ones I read and admired in the music press in the first place; he made me consider the workings of the world, and encouraged me to also consider and create my own views on political issues; he taught me what it meant to be a fan. I admire him so much – for his writing, his guitar skills, his humour, his art, his activism… While he is now one among the myriad of creators that I admire – in the company of those like Bowie, Patti Smith, Lou Reed, Poison Ivy Rorschach, Alex Chilton, Kim Gordon, David Lynch, Joan Didion, and many, many, many more from all manner of music genres, eras and artistic fields – he will always be one of the very few who has affected me enough to change the course of almost my entire life. Perhaps only Bowie and Patti have come close to influencing me in the way that he has. My life would be so unrecognisably different if I hadn’t come across his work – I am so grateful for his affect on who I am today. Fans are selfish, I am anyway-though his children were robbed of a father, Yoko a husband, etc, I can’t help but lament how much WE lost. The music, the cultural influence. I truly believe he was the voice of our generation. Growing up, the only other who I loved (almost) as much as Lennon was Jim Morrison. 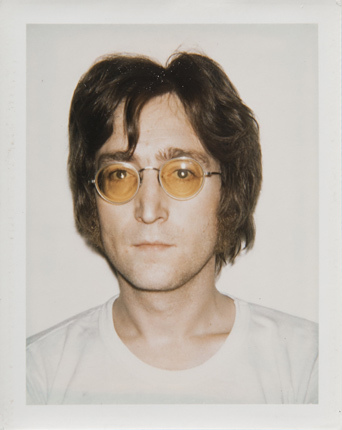 John at 76… Imagine! He’d be one of the cooler 76-year-olds, definitely, and he’d undoubtedly still be creating all kinds of fascinating, subversive and interesting music/writings/art, and he might even be running his own blog or Twitter account filled with both serious insights and funny quotes – and he’d certainly be adding some humour to this whole Trump debacle… I completely relate to what you wrote; while we were not robbed of a father/husband/etc/etc, we lost so much too. Our world would probably be at least a slightly better place if he were still around. He was so, so, so important. Hopefully the canon he left behind will continue to be of influence and import to future generations, and maybe they’ll carry his legacy into what they create and put into this world! ← tangerinetrees99 plays another gig!